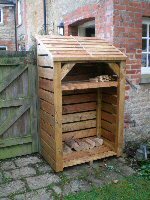 We are happy to build a Bespoke Log Store to whatever size you need. Wood Stores can be made to custom sizes to fit the area you have available, be that smaller or larger than our standard sizes. Small changes to standard size can often be done without incurring any extra costs to you. If the change needed is minimal, the price usually remains the same as our standard charges, for example making a couple of cm less or more in width or height. Depth changes will usually cost more, simply because it means every piece of wood needs to be cut to a different size. 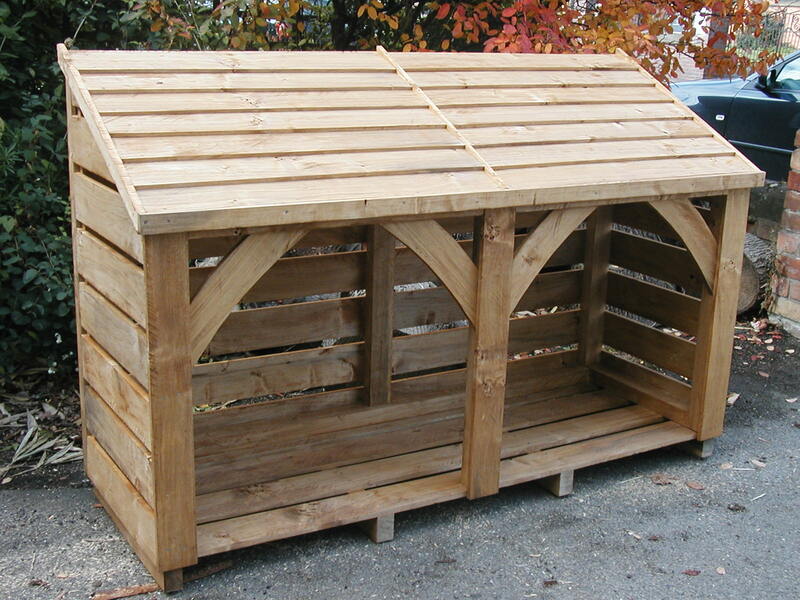 If the log store size you need is smaller than our standard size this does not always mean that the cost will reduce. It may do, but in all honesty to do a different size be that larger or smaller, extra time is needed to draw up a new cutting plan, to cut the wood to the correct size, and it still needs the same amount of time milling and planing even if it is smaller pieces of wood. For very large builds we fully construct your log store here then take it apart into sections. We bring those sections to you and spend around 3 hours rebuilding again at your home. We use Blackfriar Gold Star for treatment, available in light brown, dark brown, cedar (red) and ebony.